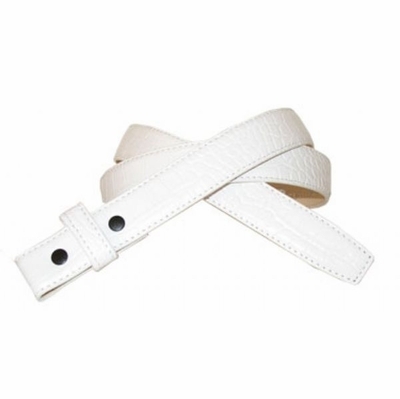 1" wide Alligator Embossed Leather Strap. Genuine Leather with No holes. Comes with Snaps. Perfect for sliding belt buckles. Belt is measured from the fold to the center hole. Measure where you wear the belt in order the get the best size.